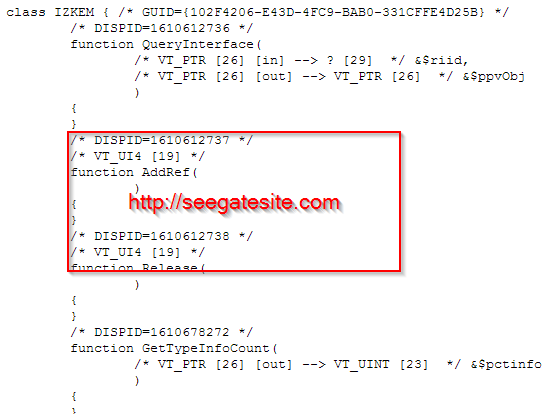 Solutions that PHP can access the fingerprint machine that does not have web services is to use zkemkeeper.dll. When the company I worked buy many fingerprint machine and it turns out that machine does not have web services, we difficult to process the data. And when I contacted the vendor, they mention that the fingerprint machine with series that we bought is not supported by web services. What’s the solution? If your fingerprint machine, using zkemkeeper.dll as a module to process the data. PHP provides a class to be able to access the DLL file. But the DLL file can only be run on the Windows operating system. While our company system using Ubuntu Linux server. Like it or not we have to install the Windows operating system (my experiment using Windows 7 64bit) on ubuntu server using VirtualBox. Make sure you have a windows operating system (windows 7 64 bit that I use). Download the entire DLL file fingerprint (zkemkeeper.dll, etc. ..) here. Copy the entire file in the folder c:/windows/SysWOW64/. On windows, I use XAMPP server (xampp-win32-5.5.35-0-VC11-installer) to run PHP. Change settings in the php.ini, change the following settings. Run the script above you’ll get a set of functions in zkemkeeper.dll. Thus my article on How To Access Fingerprint Data With PHP Without Web Services Using Zkemkeeper.dll may be useful. Because speed internet in my office was not so nice and poor infrastructure, then need more time to execute my script from internet. zkemkeeper.dll need dot net framework. php_com_dotnet.dll connecting dot net framework with php. Thank you Sigit. I get it now. I would really appreciate if you could show me how to do this. I guess you have come across something like this while handling COM objects and their methods in PHP. Maybe I could clarify. I see you have a good grasping of this topic. If a COM object method requires an input of a VT_VARIANT in PHP and the data you have is an array of bytes or an array of unsigned int values, how would you pass that array into a COM object method in PHP whose method definition requires a VT_VARIANT ? If you have a good tutorial or book I kindly request you refers it to me. I will be so grateful for your assistance. i’m trying to use this zkemkeeper SDK on linux but currently, no luck. I know we should use Windows machine and it already work just fine on windows. But i need to rut it on a linux machine. Maybe if you have a solution for my problem or another way to solve it i would be very thankful. It’s purely php based zklib. Just tried it for simple task and it worked. Hi, I couldn’t find the proper function to retrieve the log data. the class is so confusing, lots of similar functions and I tried them on.